On September 3rd, 1964, President Lyndon B. Johnson signed into law the Wilderness Act establishing the National Wilderness Preservation System protecting federally designated wilderness areas. Wilderness areas distinguish themselves from other protected lands due to the way in which they are managed. The Wilderness Act defines these protected landscapes in saying, “a wilderness, in contrast with those areas where man and his own works dominate the landscape, is hereby recognized as an area where the earth and its community of life are untrammeled by man, where man himself is a visitor who does not remain.” From this poetic definition, wilderness areas are identified as the wildest places amongst those protected by the federal government. Within the State of Colorado there are 43 different designated wilderness areas which cover more than 5% of the state’s total area. This includes nine within two hours of Estes Park: the Rawah Wilderness, Cache la Poudre Wilderness, Comanche Peaks Wilderness, Rocky Mountain National Park Wilderness, Never Summers Wilderness, Indian Peaks Wilderness, James Peak Wilderness, Vasquez Peak Wilderness, and Byers Peak Wilderness. 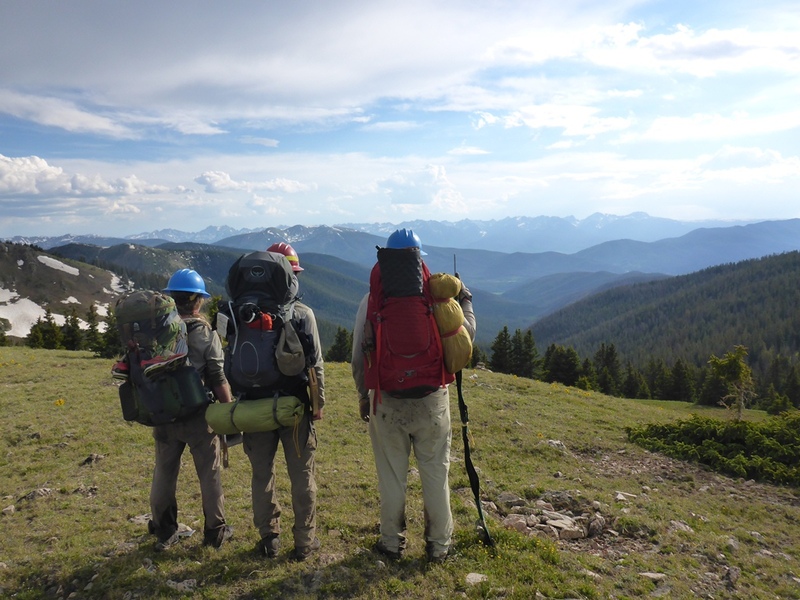 In recognition of the upcoming 50th anniversary of the Wilderness Act, Rocky Mountain Conservancy –Conservation Corps was selected to participate in the Fifty for 50 Campaign. This campaign is a nationwide celebration of preservation work done in wilderness areas in honor of the Wilderness Act. 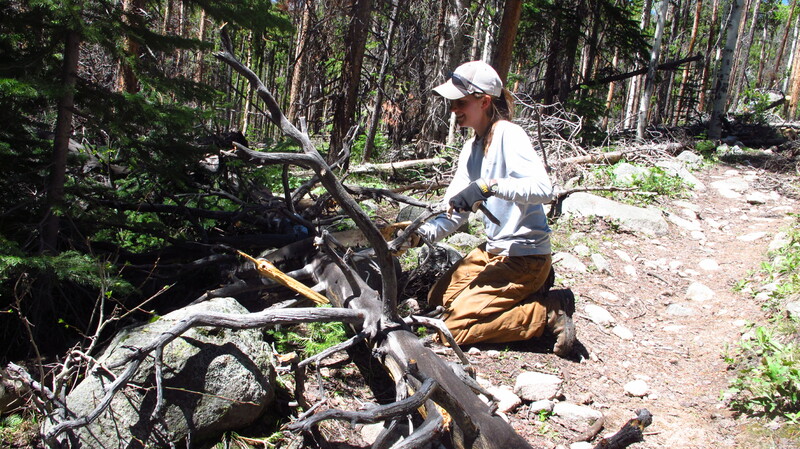 Rocky Mountain Conservancy – Conservation Corps crews work in several of the above listed Wilderness areas, namely the Rawah, Comanche Peaks, Rocky Mountain National Park, and Indian Peaks Wilderness Areas. Rocky Mountain Conservancy – Conservation Corps crews patrolled the backcountry to insure visitor were practicing leave no trace, constructed reroutes to move trails away from ecologically sensitive areas, restored backcountry campsites by disassembling extraneous fire rings and packing out trash, built erosion control structures such as log steps on steep slopes and turnpikes through riparian areas, and completed maintenance runs on trails – which include clearing downed logs from the trail, digging drainages to prevent erosion, maintaining trail corridor, brushing over social trails, and retreading damaged trail. 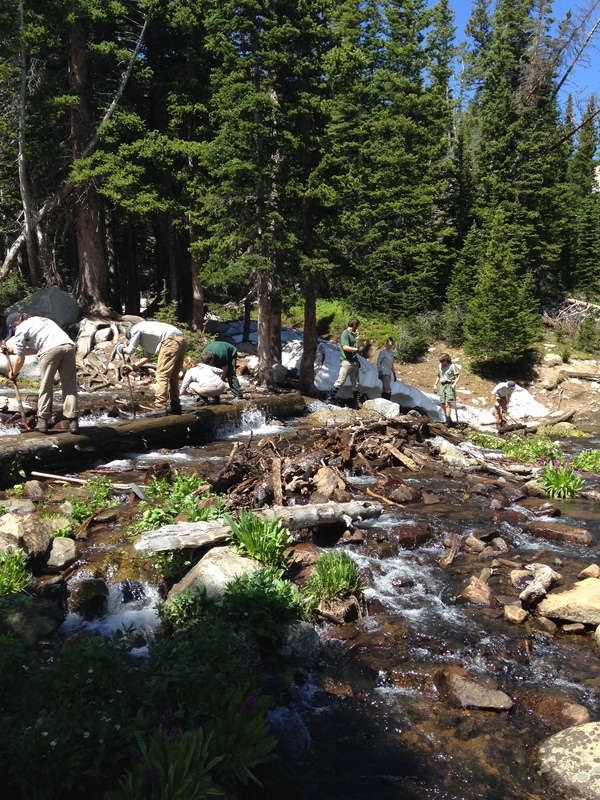 By the end of the season, the crews maintained over 270 miles of trail, completed more than 600 log outs, reopened several miles of trail damaged by the flood, restored backcountry campsites, and much more. 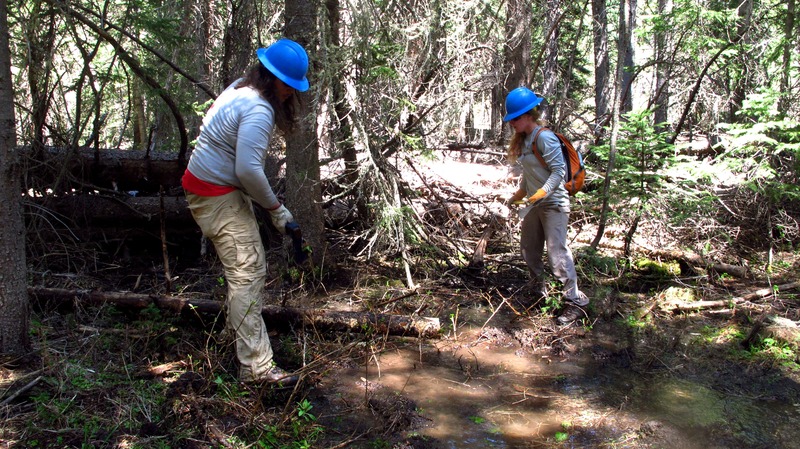 Along with completing this work, Rocky Mountain Conservancy – Conservation Corps sponsors thirty-six young people for a summer long internship with the goal of creating the next generation of stewards through connecting these youth to the land through conservation work. If you are interested in learning more about Rocky Mountain Conservancy or the Conservation Corps Program, please visit www.RMConservancy.org or call 970-586-3262.